What a lovely church and the perfect antidote to my last visit at Twycross. This church is open and welcomes all very clearly. Inside is unusual as the floor slopes up towards the altar. There is a guide book, some ‘bats’ to carry around, a tower history, post cards, cards and book marks. The visitors book shows 17 entries in July but it must be many more. 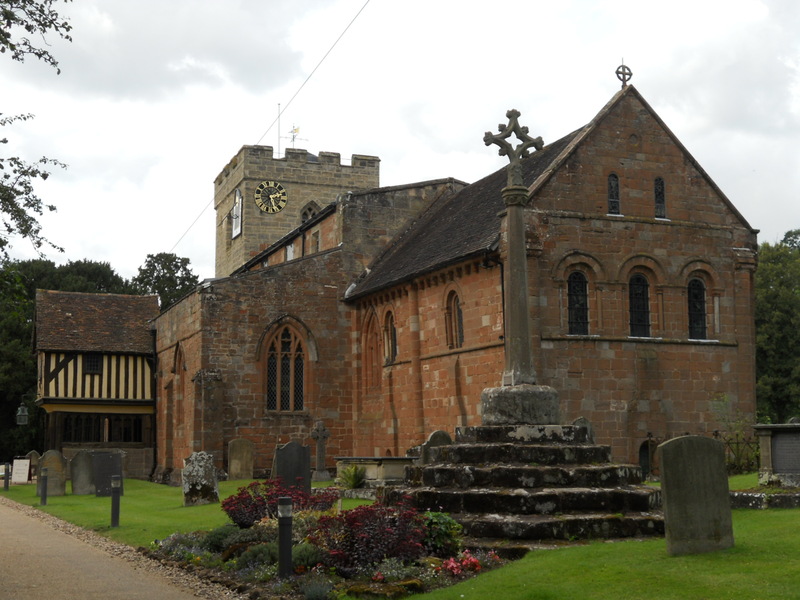 Much goes on here as well as there are pictures of the Village Fete and of the congregation – who seem a happy bunch! It is good to show the Church in action that it is not about doing this or doing that (though some churches do make our faith into a set of rules) but is about relationships, with God and with each other – here endeth the lesson. I hope you get my point. 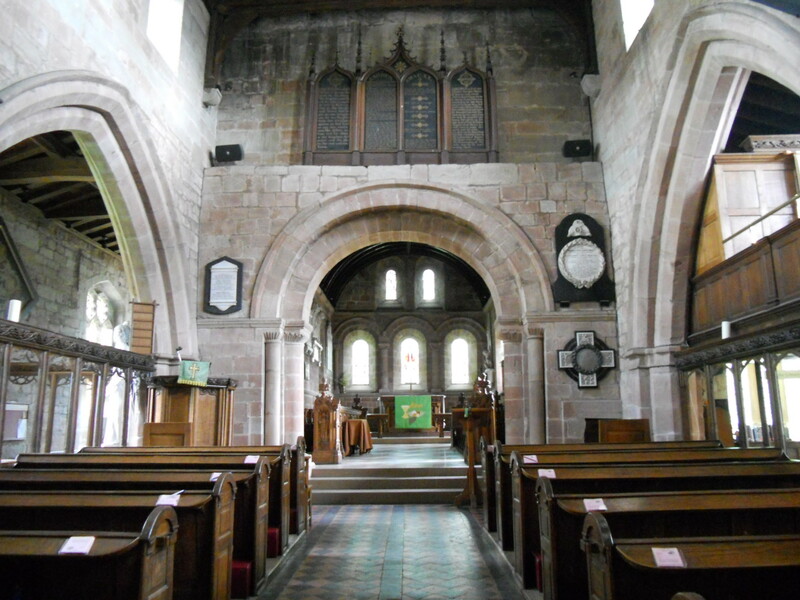 The folder of pictures here ‘Life in the Church in Berkswell’ makes this plain without words. This must be a good church to be a part of is the message that come out loud and clear. You can also go down the crypt where there is a votive stand – that might be better in the church but as it is full exquisite carving I can understand why. It does limit its usefulness and accessibility though. 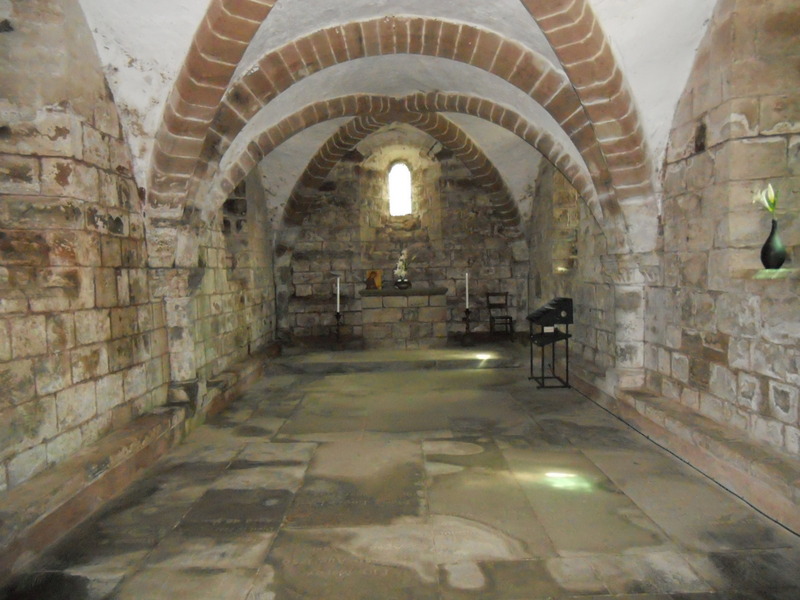 St. John’s is in ‘1000 Best Churches’ because of this Norman crypt and the carving. 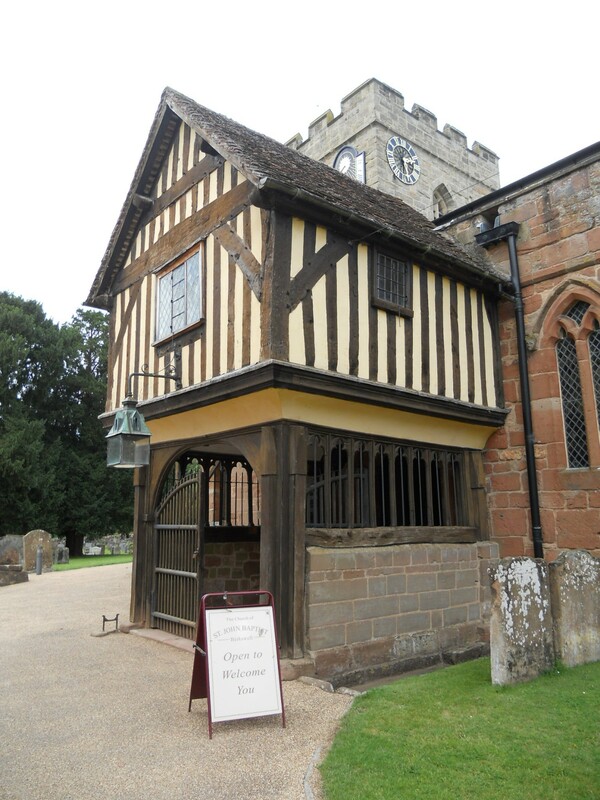 There is a good website at http://www.berkswellchurch.org.uk/ with plenty of visitor information on it as well as general church ‘stuff’. I rate St. John’s as very good – go and have a look! 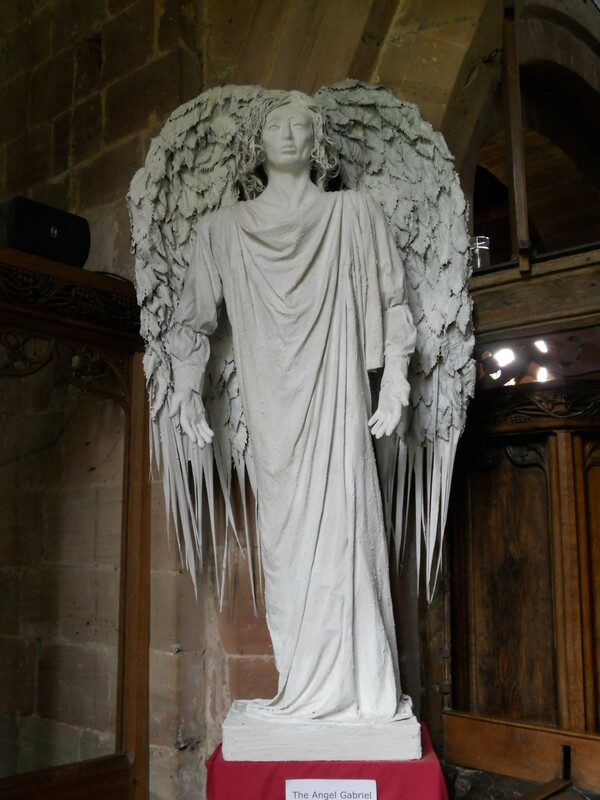 A wonderful angel by James Hand – it reminds me of Dr Who!